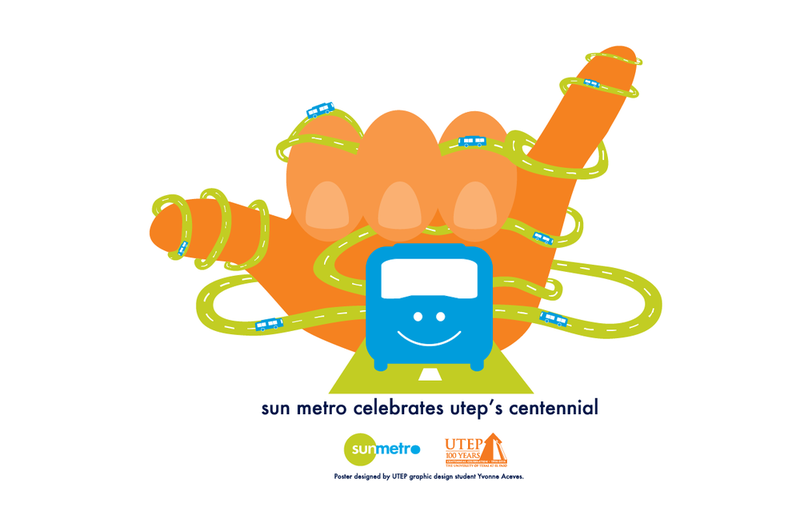 These posters were created for Sun Metro, the public bus service of El Paso, Texas. They were displayed in Sun Metro’s downtown bus station and buses. The main focus of these posters was the celebration of the University of Texas at El Paso’s (UTEP) Centennial anniversary in 2014. The image of a pickaxe and the UTEP hand sign for the pickaxe that replaced the mountains of El Paso were utilized. The intent of both designs was to create a playful environment in order to reflect the idea of a celebration.